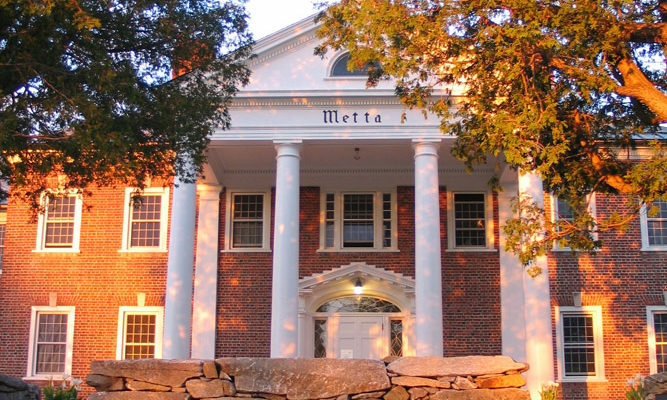 The Retreat Center entrance displays the Pali word 'Metta' (lovingkindness) on its portico. 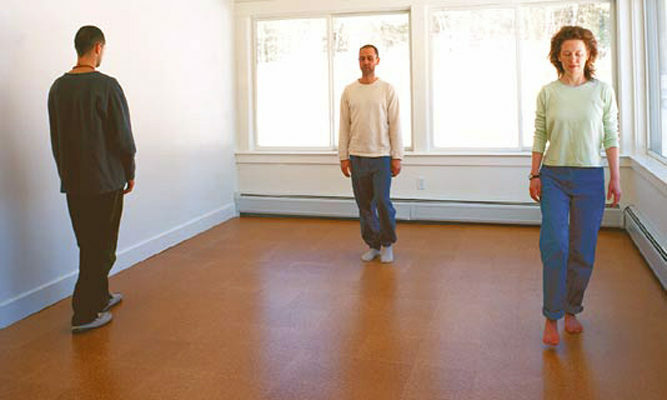 On arrival for a Retreat Center course, you'll be greeted here in the foyer. 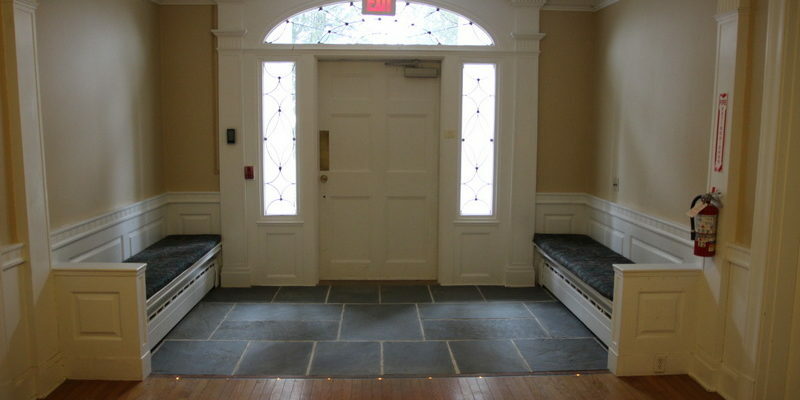 Our front entrance is fully accessible. 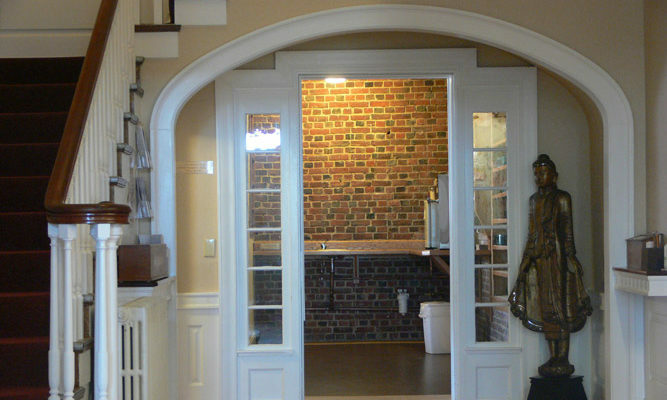 Another view of the Retreat Center foyer. 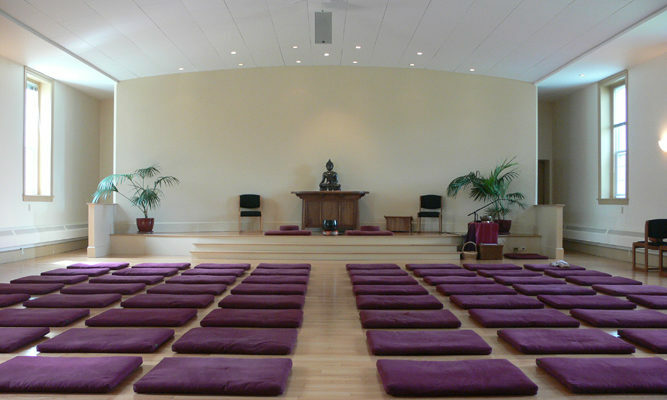 The Retreat Center meditation hall is a light, open space that encourages tranquility and mindfulness. 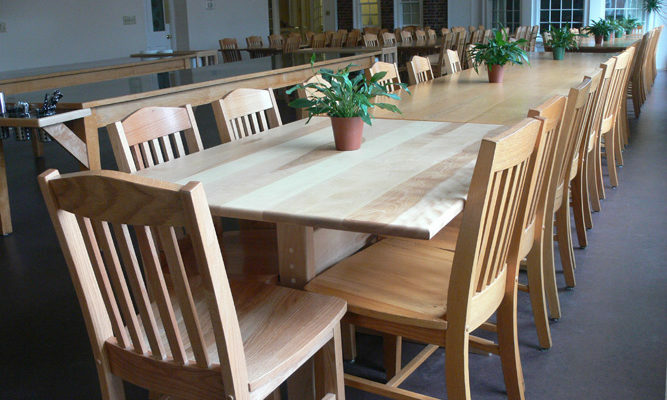 Where you'll eat nourishing vegetarian meals: the Retreat Center dining room. 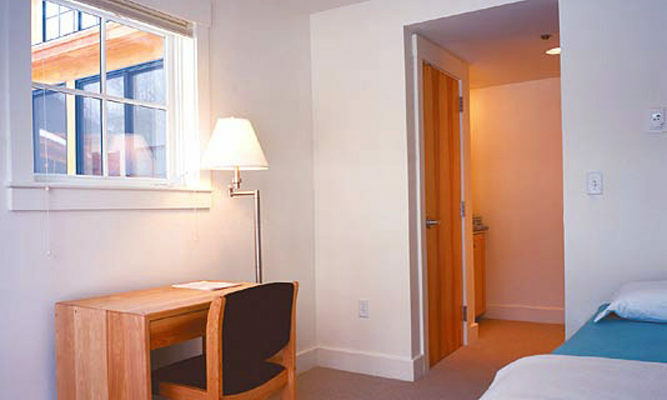 All accommodations are single rooms, simple yet comfortable. 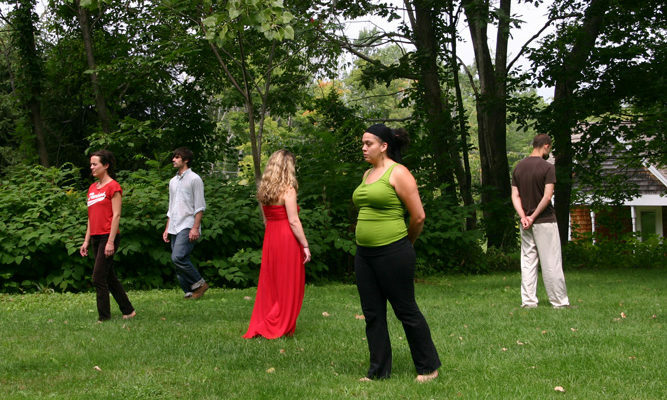 Practicing walking meditation in our beautiful grounds. 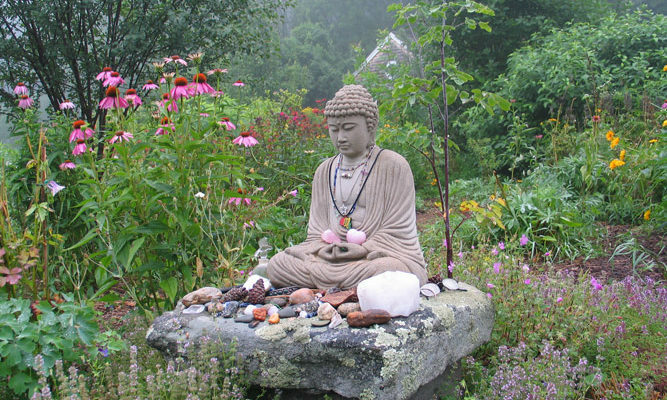 All activities throughout the day are opportunities for mindfulness. 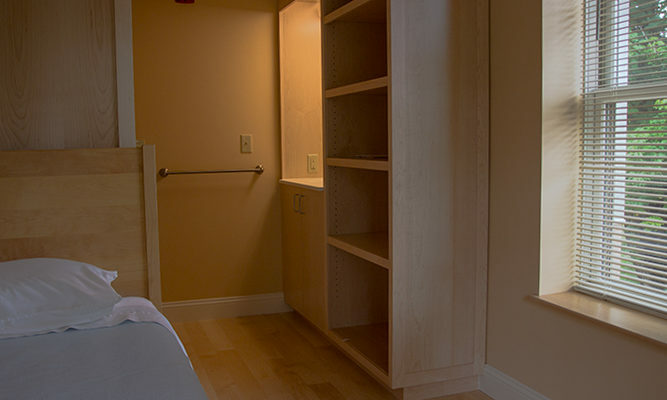 Forest Refuge bedrooms are designed to support in-room meditation. 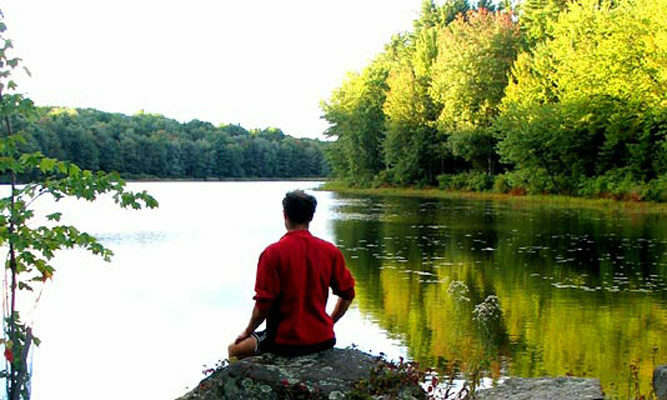 A moment of quiet reflection at nearby Gaston Pond. 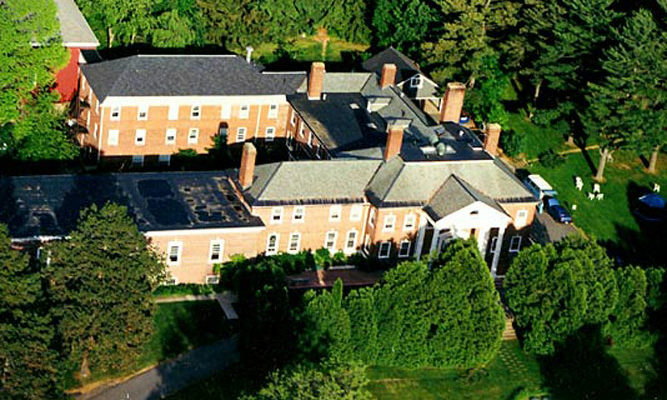 The Retreat Center grounds in spring and summer. 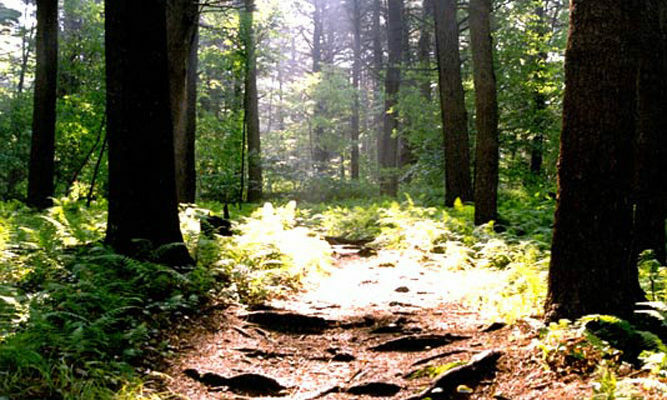 In the woods surrounding IMS are miles of walking trails. 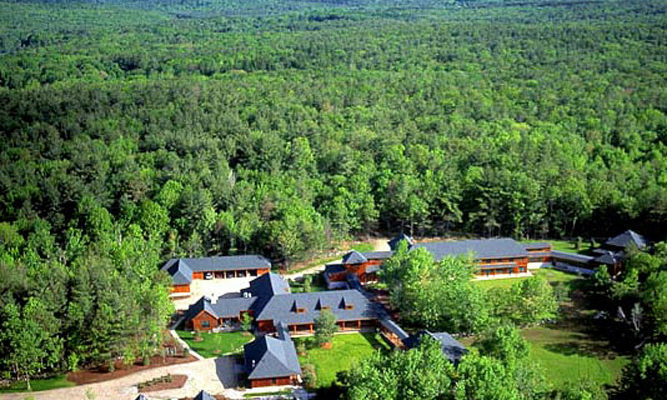 Adjacent to the Retreat Center lies IMS's other facility, the Forest Refuge. 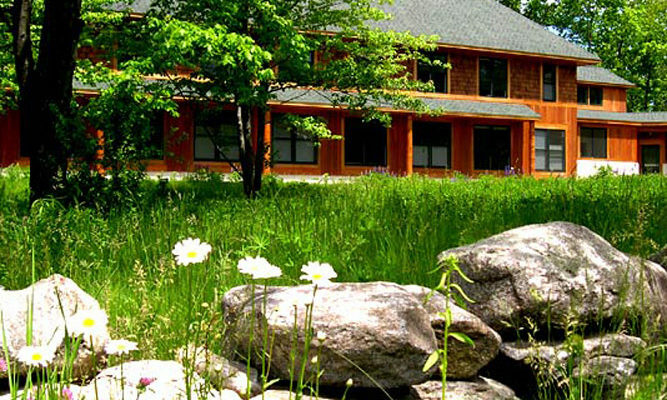  The Forest Refuge offers experienced meditators the chance to explore a less structured form of retreat. 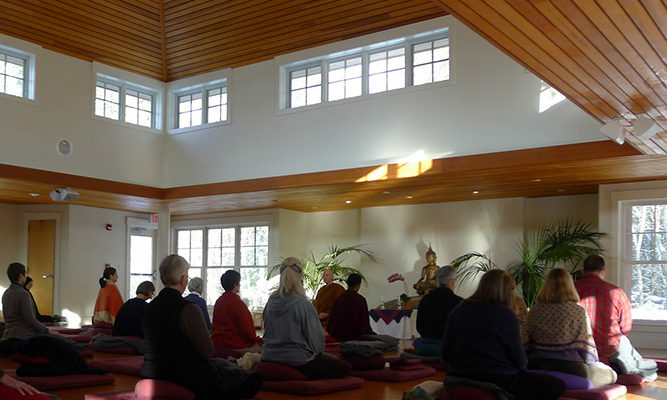 Sitting in the Forest Refuge meditation hall. 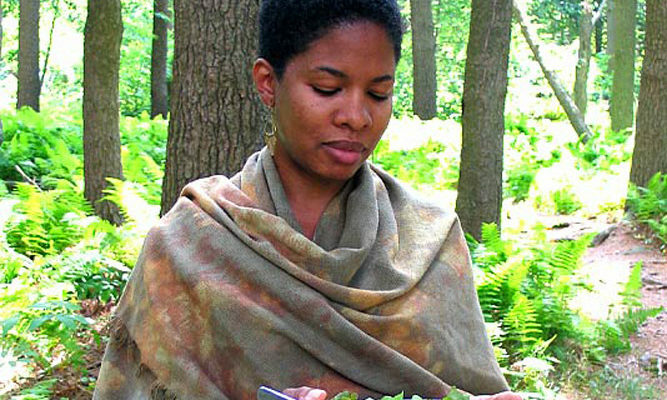 Under the guidance of experienced teachers, a Forest Refuge retreat can strengthen practice confidence. 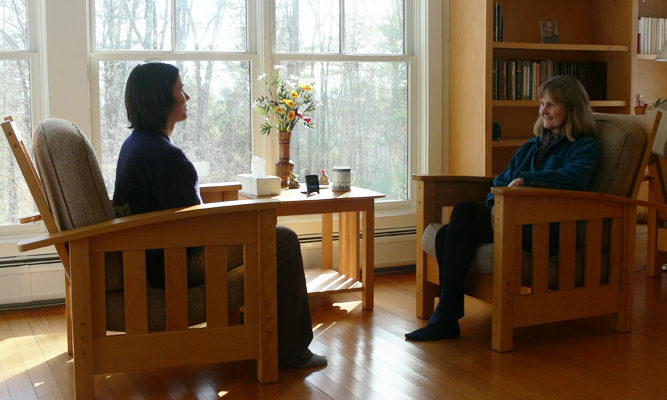 Interviews with Forest Refuge teachers about meditation take place in the Forest Refuge counsel house. 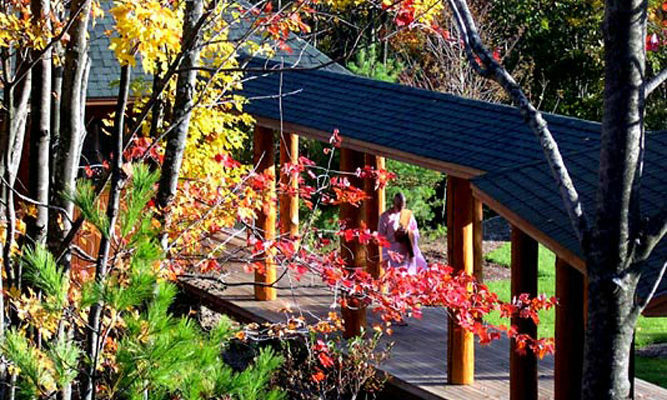 One of the Forest Refuge's dedicated walking meditation rooms. 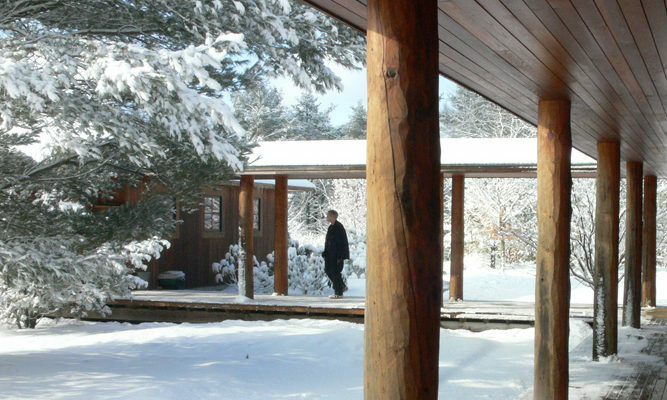 The quiet environs of the Forest Refuge become all the more serene during winter months.